CCAE President Jeff Todd, the CCAE Board of Directors, Executive Director Mark Hazlett and the CCAE team hope you enjoyed a happy, rejuvenating holiday season and that January 2018 heralds a great year ahead. Join us at the 2018 CCAE National Conference in Halifax from June 5 - 7 to celebrate this noteworthy anniversary. 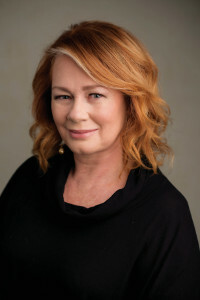 “The purpose of marketing is to deliver business results,” says Arlene Dickinson, renowned CBC “dragon” and one of Canada’s most successful communications entrepreneurs. She will share her expertise and insights with attendees at the 2018 CCAE National Conference, presenting the Opening Keynote (Sponsored by Manulife) on Wednesday, June 6. Dickinson is best known to Canadians as one of the venture capitalists on the award-winning series Dragons’ Den, an investor on The Big Decision, and a judge on Recipe to Riches. The CEO of Venture Communications and of of District Ventures Capital, she is the author of two bestselling books: Persuasion, and her most recent bestselling release, All In. View Arlene Dickinson’s full profile on the CCAE website. An excellent professional learning program is being developed by CCAE volunteers, and conference special events will take full advantage of unique Halifax locations and cuisine. Review the fantastic keynote presenters. Members of the Canadian educational advancement community were saddened to learn that CCAE Board member Catherine Finlayson passed away on December 28, 2017. Catherine was the Executive Director of Advancement and Alumni at Fanshawe College and Executive Director of the Fanshawe Foundation. On behalf of this community, CCAE has made a memorial donation to the Outdoor Learning Expedition at Fanshawe College. For more information, please follow this link to the Fanshawe College website. This prestigious CCAE program would not be possible without a large number of committed volunteers that serve as category host coordinators and judges for the 2018 competition. Judging takes place through the month of March. Please consider serving as a Prix d’Excellence volunteer. Avoid any category in which your school intends to submit an entry. Be sure to register for the next webinar on January 25: Young alumni engagement: Harnessing Generation #ShowMe, presented by Ben Seewald, Alumni Officer, Queen’s University. All CCAeLearning webinars are free to CCAE members. The deadline for expressions of interest is Friday, February 16, 2018. More information and the on-line nomination form will be posted on the CCAE website starting January 22.